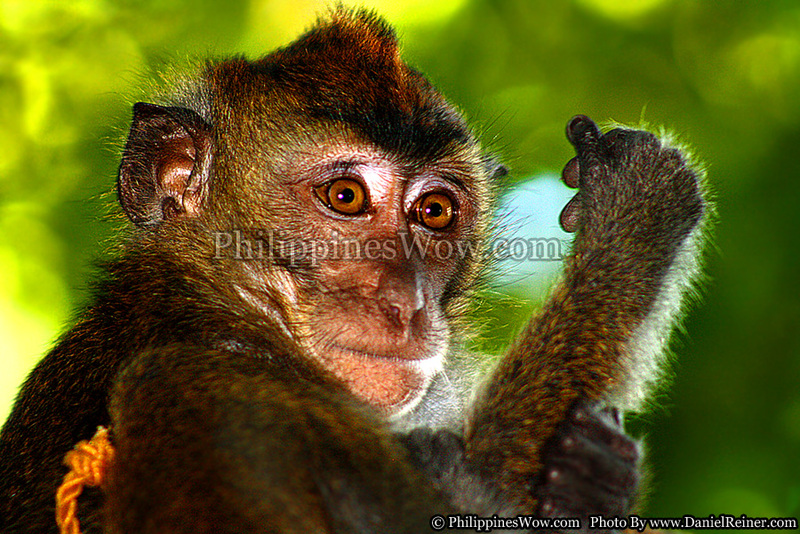 There are many native chimpanzee's, or monkeys, in the Philippines and the one in this image is very common for a pet. These chimpanzee's are very smart and smaller than most and make good pets but they have to be chained up because they are very active and seem to get into everything. If you travel about in the Philippines it is very likely yo will encounter a pet chimpanzee or monkey somewhere at a park or resort for show.